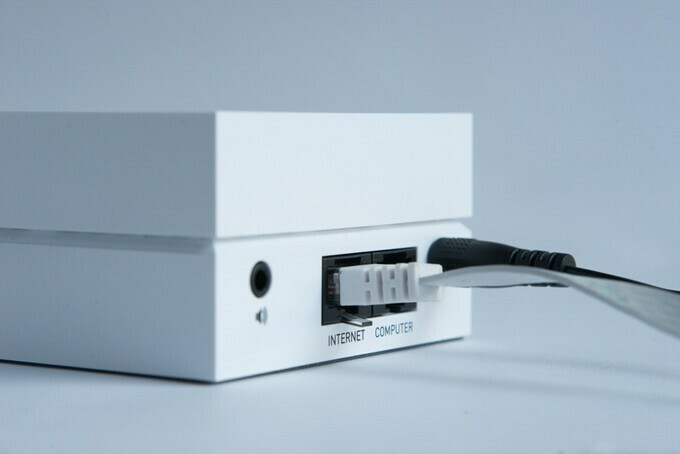 A small little black box (measuring 80 x 80 x 42 mm), the Gramofon has just a small array of ports – on the back you’ve got a ‘power’ jack (as expected), an ‘internet’ and a ‘router’ ethernet jacks, and a 3.5mm audio jack for your speakers. But then, you’re not getting this for a router or a hub! 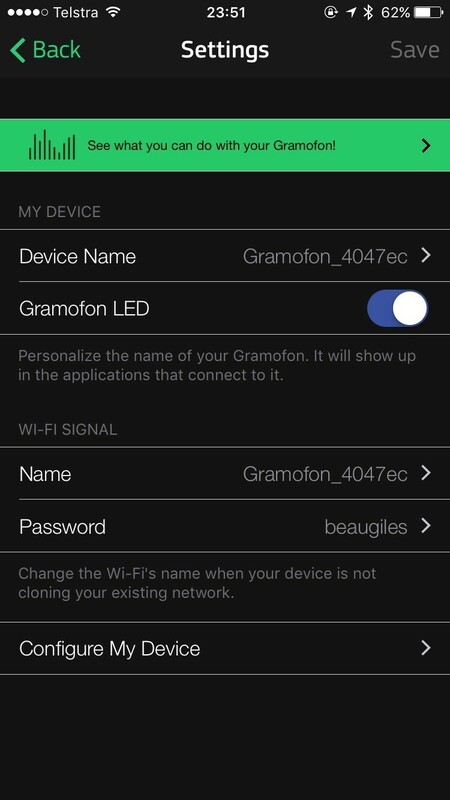 While it may have Ethernet ports, the Gramofon definitely puts WiFi first – out of the box it’ll offer to connect and extend your existing WiFi network, but you can set it up to work via a cable (which then makes it become it’s own WiFi hotspot, in addition to being accessible via your wired network). On the top of the Gramofon, you’ve got the big round button, in addition to the LED status light to give you a bit of an idea what’s going on – it’s pretty simple. (Blue means you’re on the internet and good to go, and Green means audio is currently streaming). 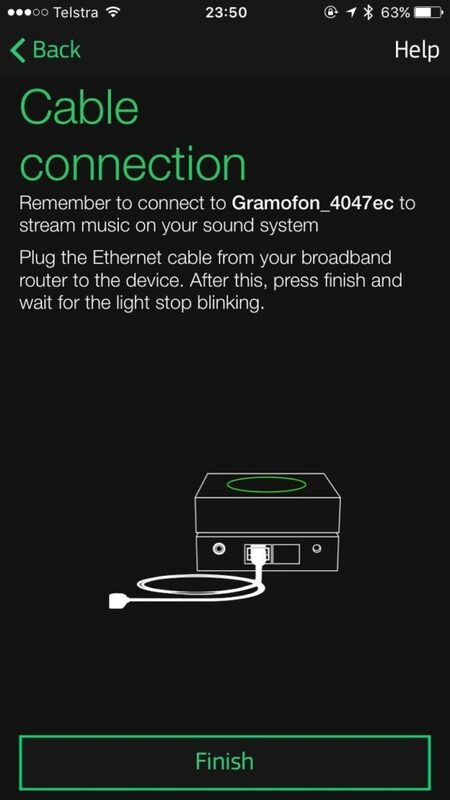 You can happily have the Gramofon sit next to your sound system and not have to worry about it – the main selling point is Spotify Connect functionality. 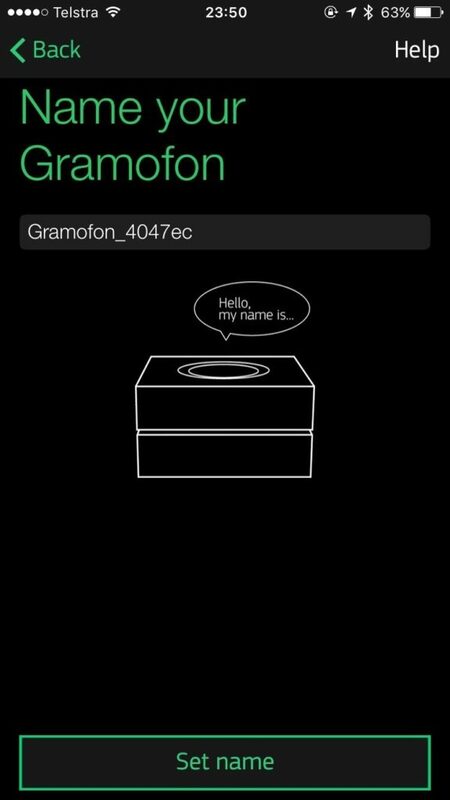 There’s no need to see or touch the Gramofon. Setup is simple, and probably old news if you’ve got any other WiFi connected gadgets around (like Belkin’s WeMo gear, or other WiFi cameras). Just download the iPhone/Android app for configuration, connect to WiFi, and run through the steps in the app. You can rename the network, making it act in “Wi-Fi Extender” mode (or, you end up with a new WiFi network and a new name), or “Wi-Fi Clone”, essentially repeating your existing WiFi network. 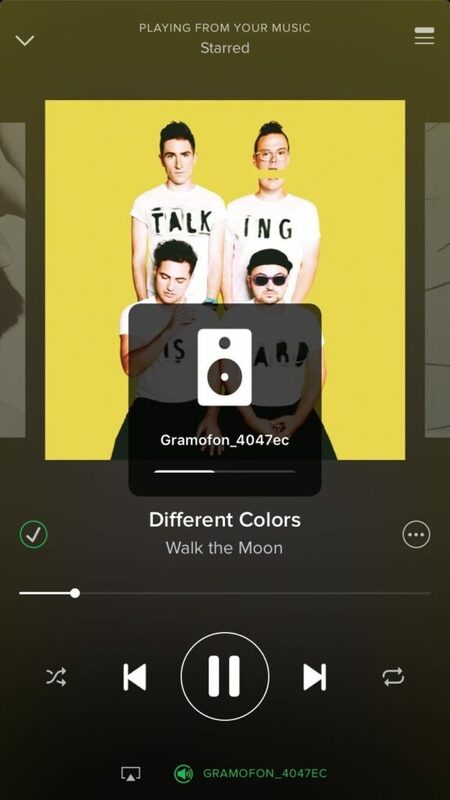 Spotify Connect is somewhat similar to Apple’s AirPlay, but it probably shares more in common with Google’s Chromecast – the Gramofon itself connects to Spotify to stream audio, rather than your phone/computer streaming directly to the Gramofon. This has the benefit of not being reliant on your phone, especially being nearby. Cheaper speakers may offer streaming over Bluetooth, but this means you have to be relatively close to the speakers, and your music drops when you receive a call. Because the Gramofon streams directly from Spotify, you don’t have to have your phone near the Gramofon, or even on the same WiFi network! 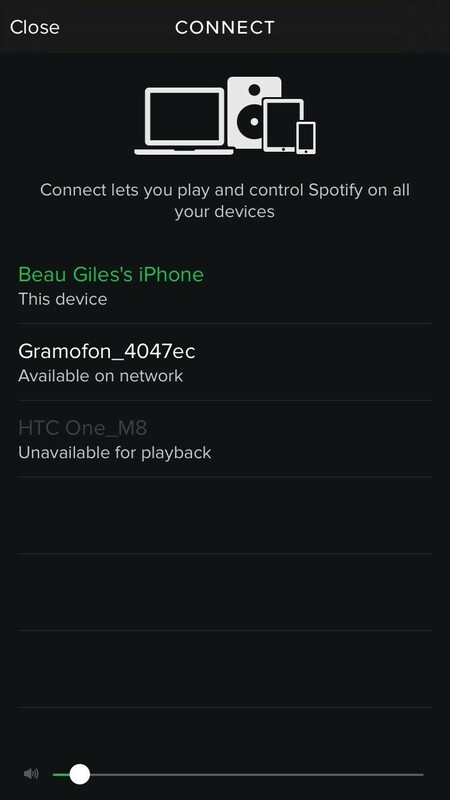 Controlling Spotify Connect is pretty easy, it works similarly to how AirPlay or Chromecasting works. 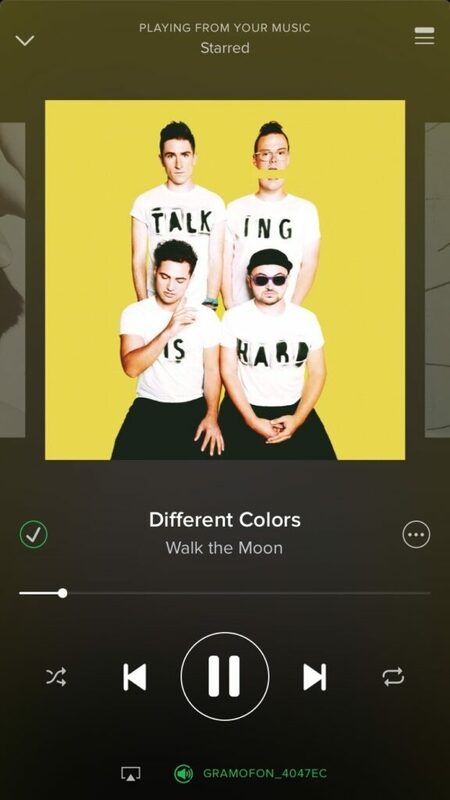 Inside the Spotify app on your iPhone, Android (or even Windows Phone), and your desktop computer, you’ll see a little Spotify Connect icon. 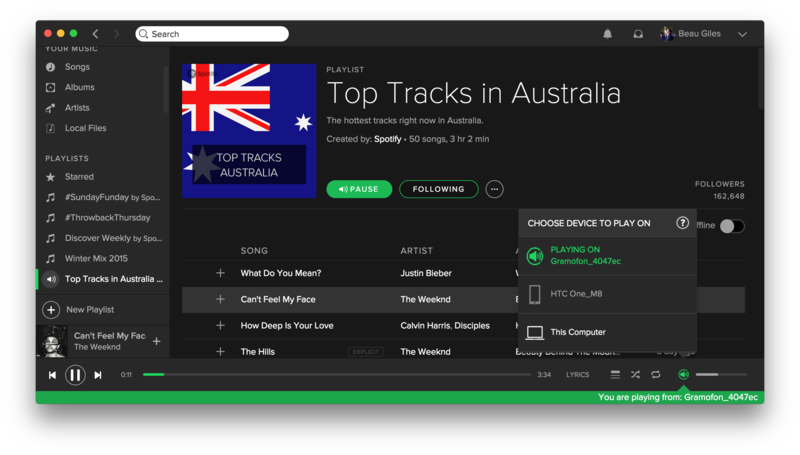 (you may even be familiar with Connect and the ability to control one Spotify device from another, e.g. control your Mac from your Android phone). Just press it, and you’ll be able to change the device you’re controlling. You can then control the volume too by using the app, or hardware buttons on your phone. Audio quality is as good as plugging your phone or computer directly into speakers, as far as I’m concerned. And the lag may be noticeable between changing tracks or the volume, but it’s not enough to be come frustrating to use. 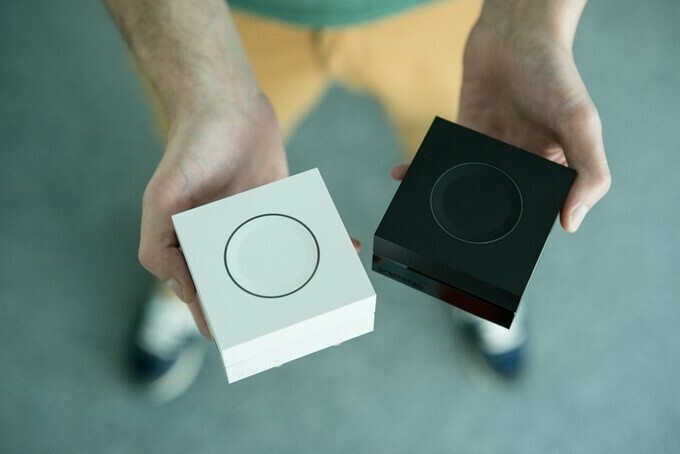 Recently, the Gramofon has also had a few firmware updates bringing Qualcomm’s AllPlay to the party, supporting several other third party apps (including the ability to throw music to the Gramofon from a DLNA server), and grouping several Gramofons together. Since I spend most of my time in Spotify and I’ve only got the one Gramofon, I haven’t explored this too closely! It’s a great way to quickly get your tunes from Spotify from your computer onto your sound system without wires, and it’ll extend your WiFi network at the same time. 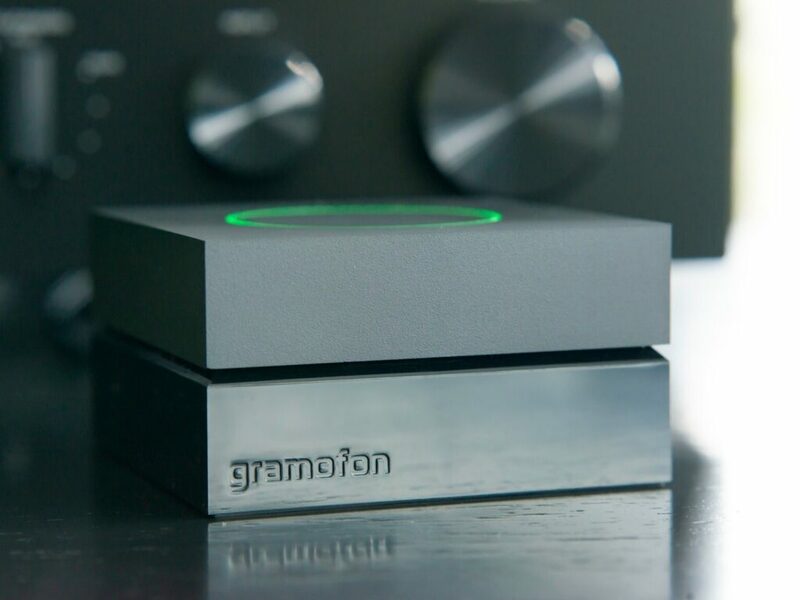 I’m an early adapter of the gramofon and I’m verry happy with it, since there is no better alternative as far i know. There is one big issue for me with the wifi repeater though, my Sony Bravia streams also on Wifi and if for some reason the tv switches(due to lots of other wifi trafficking?) to gramofon, the tv HD stream gets interrupted. I cannot switch off this repeater function. 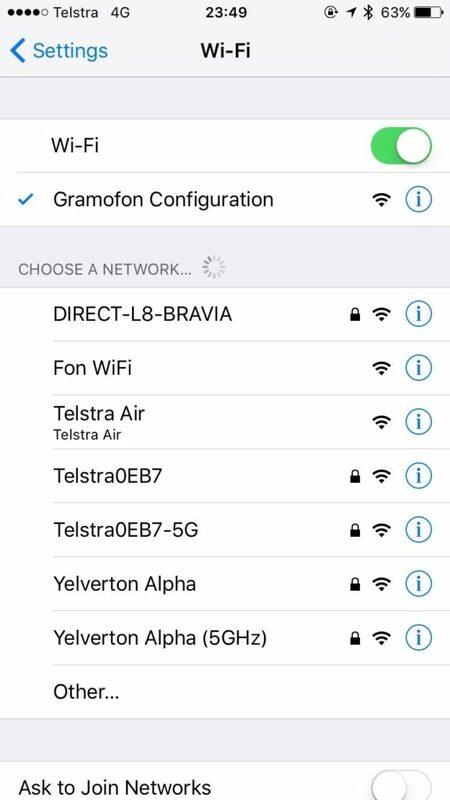 GF also is not featuring repeating wifi 5GHz band. For years i run my Spotify playlists on GF, 1out of the 10 times GF suddenly stops in the middle of a playlist, no idea why, but hitting play again solves this second minor. Since a few months also on my desktop pc i can select GF in Spotify, where i first needed airfoil and airplay.